The nattily attired bartenders are deadly serious about drinks at this Gothic saloon, a pioneer in New York's now relentless mania for craft cocktails. 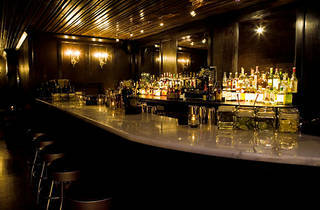 Behind the imposing wooden door, jet black walls, cushy booths, and chandeliers set a luxuriously somber mood. 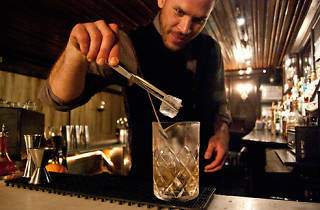 Tipples here are consistently among the city's best, many of which have propelled mixology trends across the country. 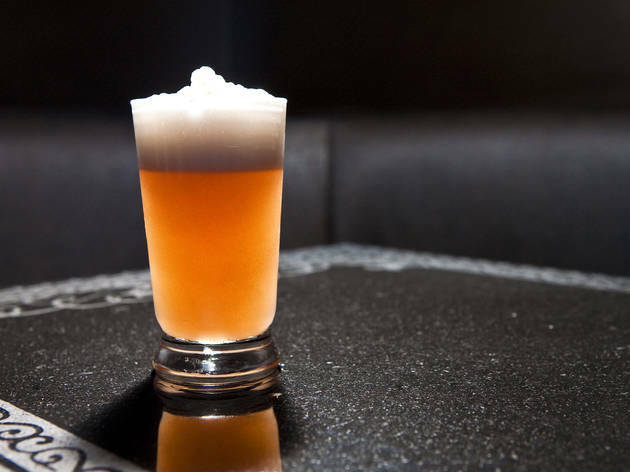 The inventive and classic concoctions include the Sweet Hereafter, a Latin American martini riff made with floral pisco, St.-Germain, Dolin Blanc vermouth and Cocchi Americano. I finally was able to come here one Friday at 5:50pm, there was already a line to get in, but we only ended up waiting around 10-15 minutes. Usually when I try to go here it's about a 2-3 hour wait so if you're going to come I suggest going right when it opens or putting your name down, going to have dinner then coming back. It's super dark inside, but a great ambiance, super romantic and cozy. It's small enough but not crowded and the drinks are delicious (but what do you expect when you pay $17 a drink). Plus the bartenders are MEGA helpful since the menu is so long and has so many options tell them what flavor you want (sweet, savory, bitter) and the base alcohol you like and they'll give you a few suggestions to choose from. I would definitely recommend and for sure come back. There was a two hour wait for a table for three when I went around 12 on a Friday, but we got in after only 40 minutes because we were hanging around in the area. The bar is very dark and great vibes. Drinks are delicious.. Menu is quite extensive and organized in an interesting way. Surprise! 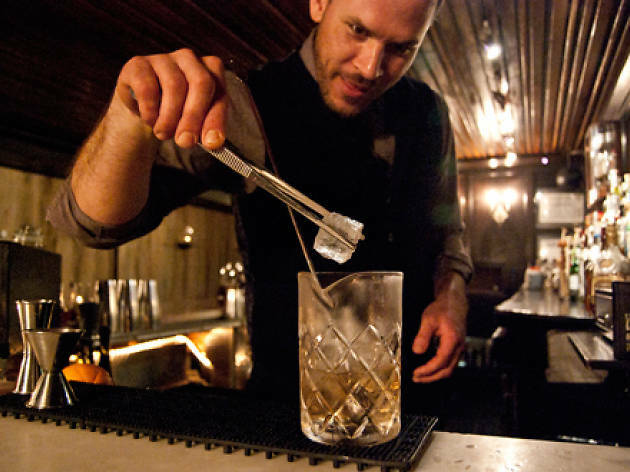 This world-renowned cocktail bar is exactly as good as everyone says it is. If you go on a weekend night, be prepared for a little bit of a wait - but there are plenty of other bars where you can kill time. Also - the wait is totally worth it. Once you're inside, there's no crowding around for counter space. Every party gets a seat at a table and has room to stretch out and have a drink. Regardless of your cocktail know-how, there's something on this menu for you. On their current menu, I recommend the Side-Eye and the Hawaii Five-Oh. 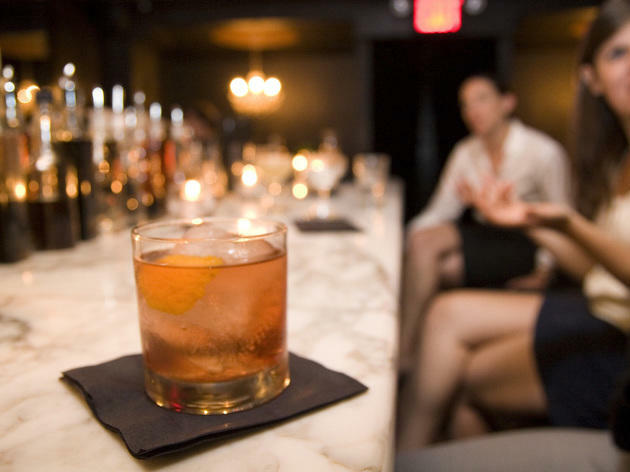 If you're going with a friend, don't hesitate to share drinks so you can try more of the menu. 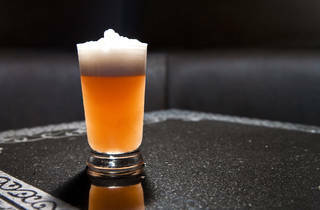 After all, these cocktails are expensive - so you may as well get your money's worth! 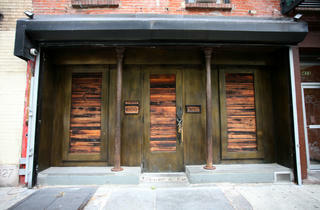 Death & Co is a must see place in NYC. There's no need to try and become a regular (besides, it's hard to get in and the cocktails are pricey), but it's worth it to make a visit every now and then. 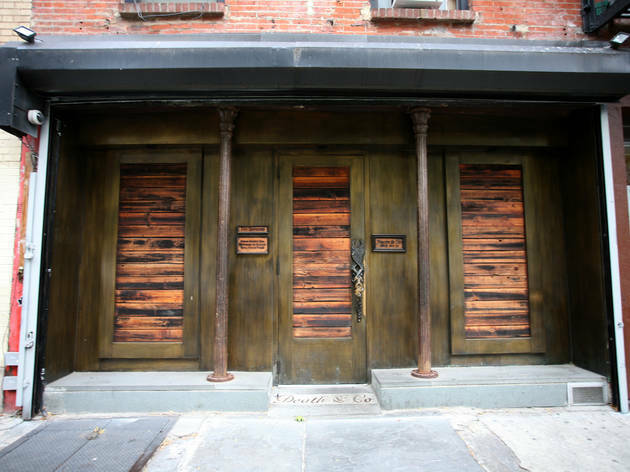 Fun fact: Death & Co was a huge and integral part in the craft cocktail movement. They even have their own book full of recipes and history about it! Obviously, their drinks are out of this world. They also come with awesome names (i.e. Tramps Like Us), to add to the fun flavor of this place. Be warned that the drinks are pretty strong, and don't be shy about ordering an appetizer or two! The chicken sliders (a plate comes with 3) were fantastic! Death & Co would get 5 stars if they did not make you wait for an hour to get in even when it is empty. My two favorite things in the entire world might be pop corn and dirty martinis and a place where you can get both. Their dirty martinis are made with pickled green tomatoes which is probably the greatest dirty martini I have ever had. I have tried to re create it it is impossible. They also give you a mini carafe with you extra martini so you basically get two! This place is great. 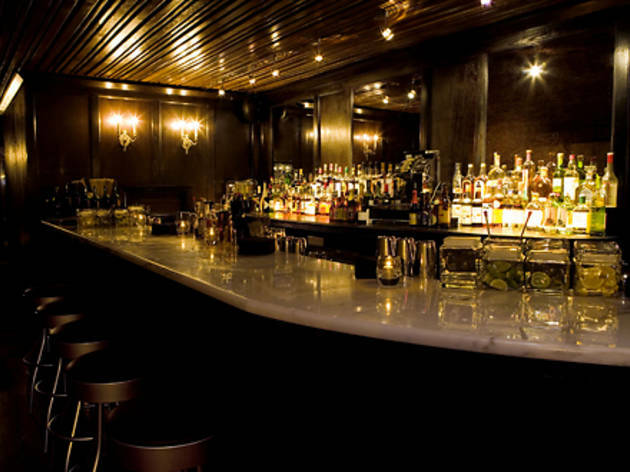 It's not as tough to get in as some of the other speakeasies in the area (PDT). The drinks were delicious, I ordered the Blood and Thunder (tequila based) and my friend ordered the Devil Inside (rye based). Both were excellent. We went on a Sunday night, so the place wasn't crowded. We were able to sit right up to the bar and watch the bartenders make our drinks. There are also cozy booths for larger parties. The atmosphere is romantic for couples who want a good space to chat and spend some time together. 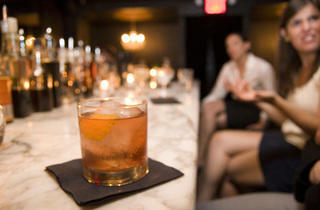 However, the service and the drinks were fairly mediocre compared to some of the other speakeasies around town. I recommend going a bit early, maybe right after dinner in order to secure a spot to enjoy for the rest of the night.